Countless marchers and spectators took to the streets Saturday for the annual St. Patrick’s Day Parade. Watch part 1 above. 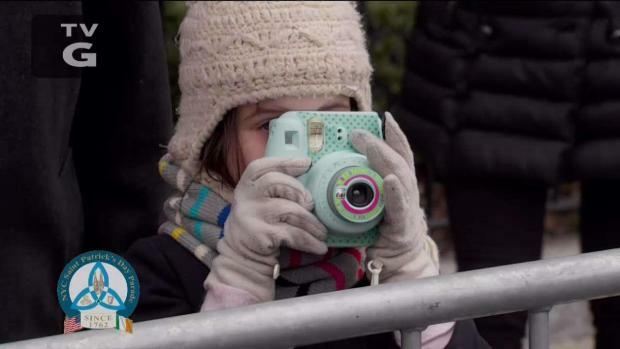 NBC 4 offered exclusive live coverage of the parade Saturday. Catch up by watching the videos in this story. 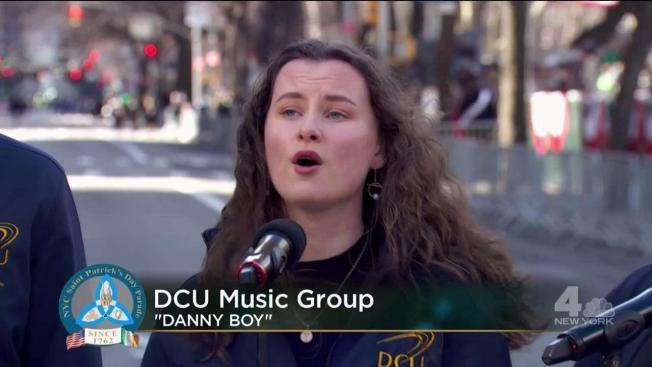 Bagpipes, dancers and marching bands joined in the largest American celebration of Irish heritage on Saturday, with tens of thousands of marchers following a painted green line up Fifth Avenue for the six-hour procession. 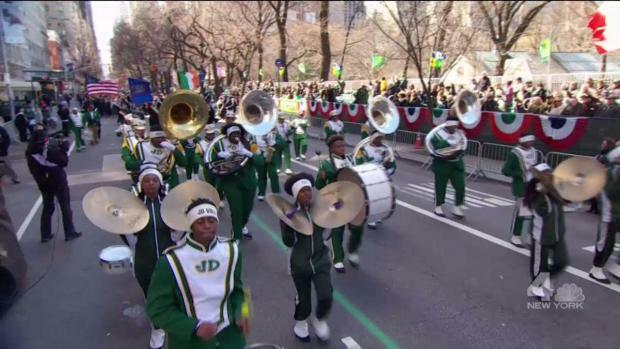 NBC 4 New York offered exclusive, live coverage of New York City’s 258th St. Patrick’s Day Parade from 11 a.m. through 3 p.m. Saturday. Catch up on the full parade by watching the videos in this story. Countless marchers and spectators took to the streets Saturday for the annual St. Patrick’s Day Parade. Watch part 2 above. This year’s parade theme celebrated immigration, with the Grand Marshal being Brian O'Dwyer, a veteran activist and immigration lawyer who among other things helped found the Emerald Isle Immigration Center in Queens (EIIC). Stopping to talk with NBC 4's Pat Battle Saturday, he told viewers how his grandmother had come to New York from Galway, Ireland, when she was just 16 years old, driven by starvation. She was a maid at one of New York's largest mansions on 54th Street, he said. "One hundred years later, her grandson is marching by that very same mansion," he said. "I'm going to stop and say a prayer for her." Countless marchers and spectators took to the streets Saturday for the annual St. Patrick’s Day Parade. Watch part 3 above. O'Dwyer was joined by a dozen aides to the Grand Marshal, representing Irish American organizations and leaders from across the metropolitan area, including EIIC's director Siobhan Dennehy. Parade marchers were greeted by Cardinal Timothy Dolan as they passed by St. Patrick’s Cathedral. He also presided over the traditional pre-parade morning Mass. Countless marchers and spectators too to the streets Saturday for the annual St. Patrick’s Day Parade. Watch part 4 above. "We know that everybody is Irish on St. Patrick's Day, and as we salute our roots in this country, we know that today's immigrants can enrich this city and this country as the Irish did before them," Chairman of the St. Patrick's Day Parade Sean Lane said in a statement. "We could not do this without the support of thousands of volunteers and organizations that help us with fundraising and operations and we rely on the spiritual sustenance our relationship with the Archdiocese of New York brings us every year." As is traditional, the parade was led by the Fighting 69th, the New York National Guard regiment founded in the 1850s by Irish immigrants. The Fighting 69th has fought in every American war from the Civil War to Afghanistan. The 69th Regiment was followed by the Grand Marshal, and then the New York Police Department hundreds-strong contingent, joined by Mayor Bill de Blasio. Police Benevolent Association President Pat Lynch was given the honor of blowing the whistle this year announcing the start of the parade. A new, troublesome topic hovered over the parade this year: Britain's failed Brexit deal with the European Union that could squeeze Ireland's economy. 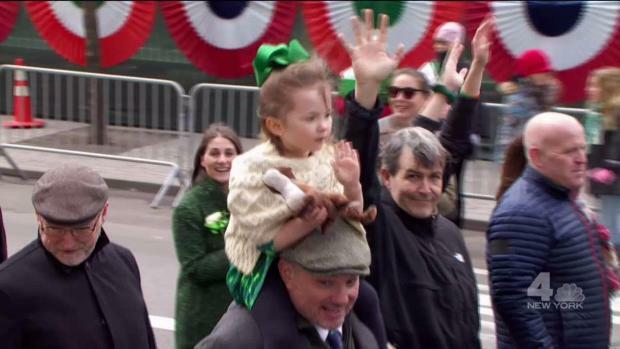 Kevin Coughlan, a 27-year-old spectator wearing pants with four-leaf clovers, captured both the New York celebration and the political near-catastrophe overseas, where he still has plenty of family - in Ireland.